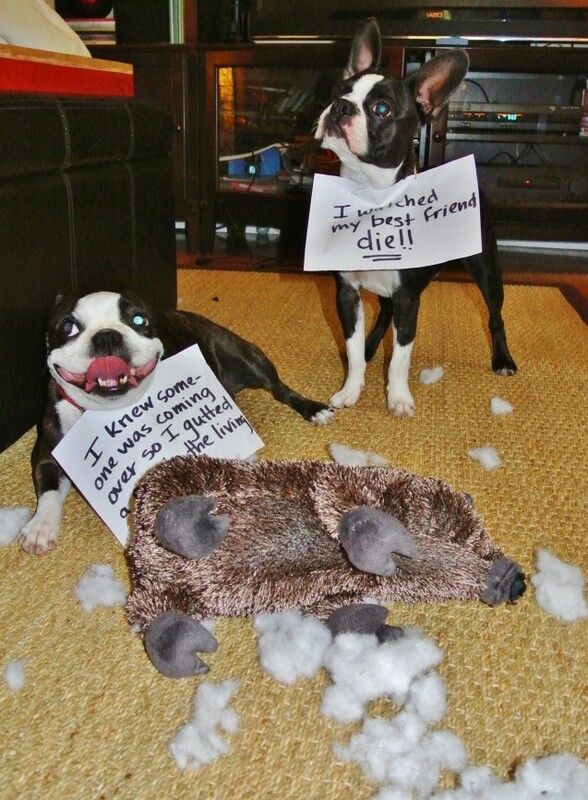 Pearl: I knew someone was coming over so I gutted a stuffed pig on the living room floor! R2-D2: I watched my best friend die! Posted December 7th, 2013 . They are so cute, their expressions are priceless!! Dear Pearl, you have the cutest smile!!! Stay happy! OMG. And I thought my dog was the best eviscerator! What an AWESOME SHOT!! Funny funny funny and adorable. Perfect!! Now THAT is an evil grin! That’s a one-in-million photo! Great job! Well, at least it wasn’t your couch or chair that they got. That has happened to us!!!!! Still love my Bostons. Boston’s have the best smiles ever!